Gaussian blur leaving thick edges? 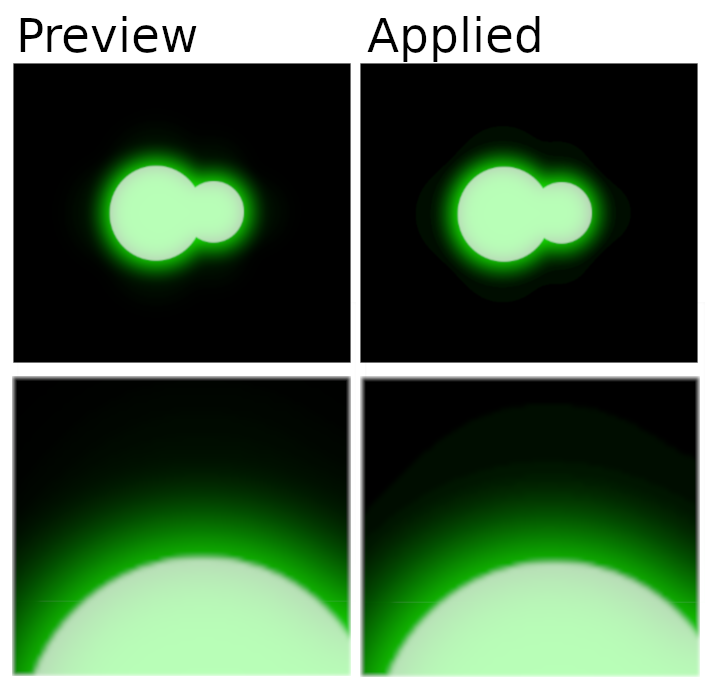 GIMP Forums / GIMP / Beginners / Gaussian blur leaving thick edges? I've been using the latest version of Gimp, and it seems the gaussian blur tool is acting differently then it did when I was using an older version. It seems to be leaving thick lines instead of blurring smooth. Also, the preview looks right, but once I apply the effect, it has the edges. I've also tried blurring in smaller increments and in multiple layers, but it still doesn't smooth out either way. RE: Gaussian blur leaving thick edges?